In the recent Bomb Shelter production Motheo (Mduduzi Mabaso) is a man whose occupation of debt collecting is forged out of the very anger that results from a broken family structure wrought on by migrant labor solicited by our South African industrial machine – mining. Although he is a musician, a trumpeter, he has resorted only to play in funerals with his band. Ideologically he sees lots of similarities between weddings and funerals in that in the end the people drown themselves in alcohol. Working for a ruthless boss Tshipi (Desmond Dube) he collects outstanding debts without prolonging the procedure too long to warrant sympathy on the part of those in debt. And if it means a beat up that too is administered with a cold cool steel demeanor. However unlike Tshipi’s brother Beef he doesn’t kill clients. The dictum ‘clients are cash cows’ is borne in mind. A chain of events that’ll put our protagonist on a road of self introspection is introduced when he had to follow up on a client, Ray (Jabu Mthembu), who has disappeared without settling his debt. Unfortunately somewhere out there Beef gets to Ray first, roughs him up and kills him ‘unintentionally’. So it is up to Motheo to get close to his wife Refilwe (Lerato Mvelase) a wedding planner and by default her son Thabo (Mashala Letsoalo) in an attempt to get back the money owed by her husband. As fate will have it, Refilwe is looking for a band that will play at a wedding she’s planning. Though reluctant at first Motheo agrees seeing that this could offer an opportunity to survey his quarry at close quarters. Besides, a fascination with this woman who wont take no for an answer flickers into life. So the band’s rehearsal are scheduled at Refilwe’s house. 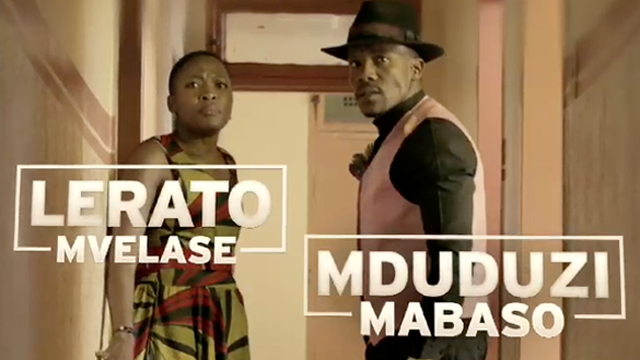 Against a backdrop of the band’s contract to play at a wedding on Refilwe’s bidding a quasi ‘father-son’ relationship develops between the fatherless Thabo, who is being bullied in the neighborhood, and Motheo who grew up hating his father. As the noose of trouble that leads to the final climax tightens Tshipi learns that Motheo has taken a liking to the fragile family with the information supplied by Beef and echoed by Motheo’s announcement that he wants out as soon as Refilwe settles her dead husband’s debt. In a rage that has been building up for some time in Beef as to his brother’s favoritism of Motheo over him he kills Tshipi in cold blood. The discovery of the missing money that Ray owed Tshipi in the trumpet case as the maddened Beef holds Thabo hostage connects the protagonist (Motheo), the dead father (Ray) and the son (Thabo) in one thread of affinity wherein loss and gain is intertwined; as the interrogation of fatherhood or the father figure element, long relegated to the background, takes centre stage towards the end of this motion picture.